Needless to say, there is a risk in buying a used vehicle. Usually buyers are overexcited with the vehicle purchase and often miss some very important mechanical and safety issues during visual inspections and test drives. These problems get even more complex if the vehicle that you are buying is located in another city and you have to pay for it before you see it in person. Many buyers choose to have a pre-purchase inspection (PPI) done before the sale is final in order to get a full picture of the condition of the vehicle and to have less troubles after. A pre-purchase inspection (PPI) is a thorough examination performed by a qualified person to check the condition of a vehicle before finalizing the purchase. Most pre-purchase inspections are done by a certified mechanic who is an expert on the specific make and model. The purpose of the PPI is to bring to light any defects that may become potential safety or financial problems for the buyer in the future. When purchasing a vehicle without a warranty, or when the vehicle is located in another city, a PPI is highly recommended. In case there is no warranty, the buyer takes all the risk in the event of a breakdown or major mechanical issue. That’s why a professional PPI can save you money. Vehicles in other city are additional challenges because the purchaser is unable to take a test drive. You can arrange a PPI with a local shop by phone and the seller can drop the vehicle off for a couple of hours. The PPI report will give you added security during a long-distance transaction. A basic inspection usually includes putting the car on a hydraulic lift and checking for leaks or broken parts. Steering and brakes can be inspected with a road test. A thorough inspection includes checking engine compression and a computer engine analysis. The depth and detail of the inspection generally determine the cost of the PPI. Any competent mechanic who understands the vehicle you are buying can do a PPI for you. 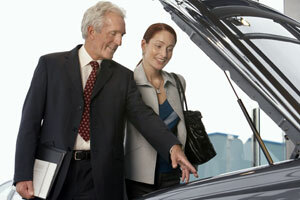 Most car dealerships and specialized shops are excellent resources for a thorough PPI. Besides, there are now national specialized mobile PPI operations that inspect vehicles in almost every state. You can perform an online search for “Pre-Purchase Inspection” to find larger dealerships.